Adam Gross shows off his guitar in the Ryan Center for the Musical Arts. Gross started playing the guitar in a reggae band in high school. Communication senior Adam Gross discovered reggae in his middle school jazz band. One of his friends got him hooked on the genre, and invited him to play guitar in his reggae band in high school. As the rest of the band came from Jamaican heritage, Adam was the odd man out. “Here’s me, this Jewish kid from New York, playing in a reggae band,” he said. Gross has since graduated from his high school band and become a recorded artist. Earlier this year, Gross digitally released a four-song EP titled “In Control,” which hit number one on the iTunes reggae charts. Gross said topping the iTunes reggae charts was the result of a planned strategy. Understanding that most people stream music rather than purchasing it, Gross convinced his friends and family to pre-order the EP on iTunes. When the project launched, the orders went through all at once, bumping the album to the number one spot. According to Billboard’s associate chart productions manager Alex Vitoulis, the EP “just missed” entering the weekly Billboard reggae charts. It garnered its first radio play with the song “Energy” playing on 96.1 WKZQ, which caters to the Myrtle Beach, South Carolina area. Gross created “In Control” while studying abroad in Tel Aviv, Israel during the fall of his junior year. After the election of President Donald Trump and a break-up with his long-distance girlfriend, Gross said he channeled his emotions into his music. Gross said the EP is centered around an exploration of control, specifically the dichotomy between the lack of agency people feel within the world’s grand scope and their ability to choose their reactions. In addition to writing the lyrics and instrumental music, Gross also played guitar and recording synth for the EP. He brought in a bass player, drummer and different vocalists to complete the project. It was recorded and produced in Brooklyn by producer Michael Goldwasser, whom Gross had worked with as an intern to learn more about music business. Goldwasser said he enjoyed working on the EP due to the unique nature and style of each song on the project. 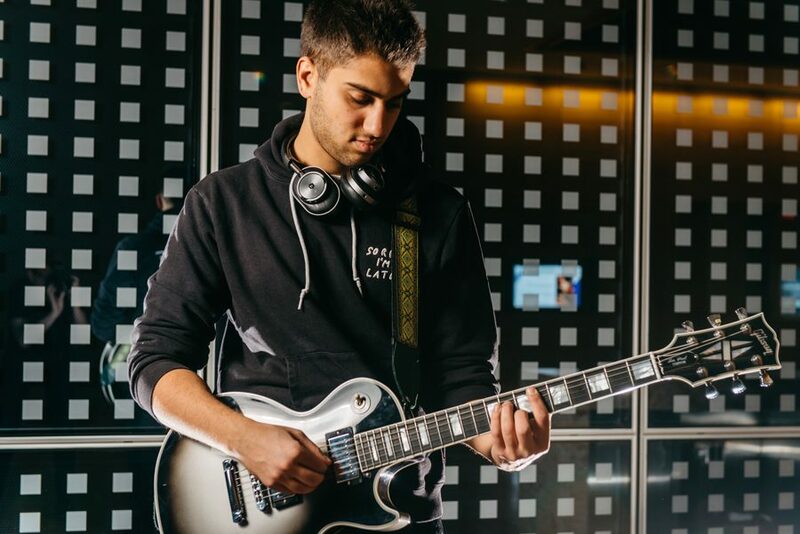 Joel Levy (Weinberg ’17) has been friends with Gross since their freshman year at Northwestern, and was living with Gross in Tel Aviv when he created the EP. Levy said he first understood how musically talented Gross was when they sat next to each other on the flight to Northwestern Ski Trip their sophomore year. Gross said he maintains individuality in his music by overseeing every part of the creative process, from performing to marketing. Getting to dabble in all aspects of the music production process and working as his own manager is enjoyable, he said. He said he’s confident music will remain a part of his career after Northwestern, even he is not a professional musician.